KIC InnoEnergy, the European company for innovation, business creation and education in sustainable energy, confirms the final agenda and keynote speakers of its second Business Booster event, returning to Barcelona on 23-24 October. The event will showcase over 60 high-growth start-ups and innovative SMEs the company supports, creating a unique platform for the industry to get access to the latest technologies and innovations. Representatives from leading energy companies including EDF, Iberdrola, Gas Natural, GDF Suez and Tauron have already confirmed their attendance, and over 250 participants from the top 50 European energy companies are expected to attend the event. 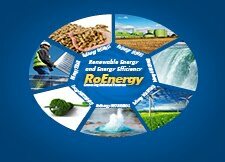 The first day of Business Booster will focus on topics around the energy markets and challenges the industry faces. Gina Domanig, Managing Partner of Emerald Technology Ventures, will provide insight on the energy market trends in Europe, while Ankit A. Shukla, Practice Director from analysts Frost & Sullivan, will focus on the integration of technologies in the European energy landscape. Diego Pavía, CEO of KIC InnoEnergy and Elena Bou, KIC InnoEnergy’s Innovation Director will share their views on the need of innovation and new business models in Europe, and how KIC InnoEnergy contributes to shaping the future of the energy market. The second day’s discussions will focus on the strategic role of innovation and entrepreneurship in sustainable energy, through a roundtable discussion with top executives of energy companies, including Raphaël Schoentgen, Head of R&T at GDF Suez Group, Sylvain Paineau, Innovation & Partnerships Director at Schneider Electric, and Jerzy Janikowski, Regulatory Affairs from Tauron Poland. The event will also showcase a number of case studies from successful serial entrepreneurs to highlight how entrepreneurship contributes to the growth of the European economy. Magnus Lindhe, Partner at Zobito AB, Pascal Mauberger, CEO at McPhy Energy and Ghislain Vanherle, Founder of P&V-Elektrotechniek will be amongst the speakers at the inspiring session. 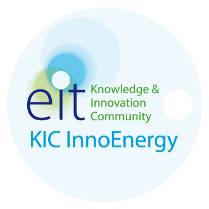 Through the unique way of connecting high-promising start-ups and the energy companies, KIC InnoEnergy works to strengthen innovation in Europe. By attending the Business Booster event, the industry will gain access to new technologies, innovative solutions, new business models and new investment opportunities, complementing those their company is already or thinking of developing.